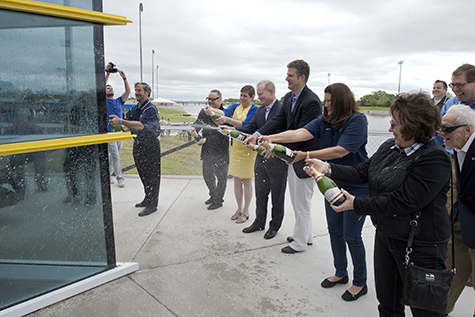 The University of Central Oklahoma celebrated the grand opening of the CHK|Central Boathouse on the Oklahoma River near downtown Oklahoma City on April 18. The day of events included an official dedication ceremony and christening, opportunities to meet the UCO women’s rowing team and head coach Andy Derrick, live music from UCO students, art, food trucks, and activities for children. Pictured from left, UCO President Don Betz, architect Rand Elliott, College of Fine Arts and Design Dean Pam Washington, Oklahoma City Mayor Mick Cornett, Chesapeake Energy director of strategic communications Gordon Pennoyer, donor Martha Burger and UCO Foundation board of trustees chairman Peggy Kates christen the CHK|Central Boathouse on April 18, 2015. 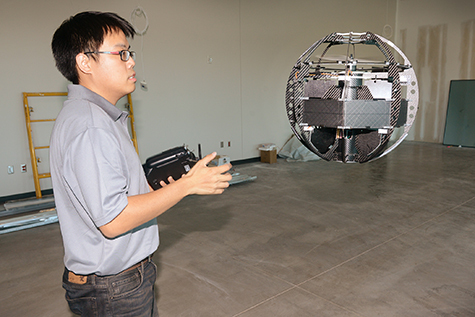 Oklahoma State University graduate student Ben Loh test flies his ATLAS spherical unmanned vehicle while preparing to attend an unmanned vehicle trade show. Loh and several partners have launched the startup business Unmanned Cowboys to market his invention and other unmanned system products. 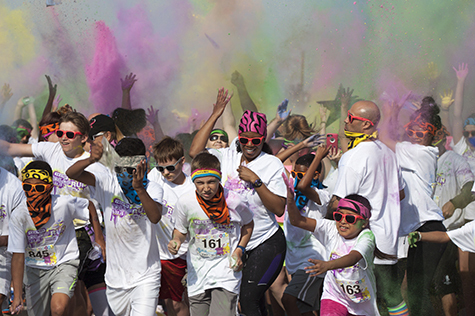 Runners of all ages head for the finish line at Cameron University’s third annual Technicolor Run. Proceeds from the event benefit Comanche County Memorial Hospital’s Starlight Fund, which provides enhanced services to pediatric patients.